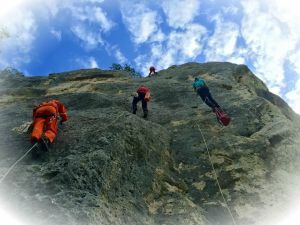 The training was co-organised by the Ministry of Security of Bosnia and Herzegovina and the Administration of the Republic of Slovenia for Civil Protection and Disaster Relief (ACPDR) and supported by the Republic Administration of Civil Protection of the Republic of Srpska, Cave rescue unit-Ponir, Cave Rescue Service of the Republic of Slovenia (CRSS), as well as by the Mountain Rescue Service of Serbia (MRSS), Commission for Rescue in Vertical Conditions) and Croatian Mountain Rescue Service (HGSS). 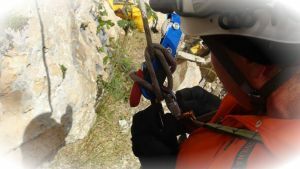 The programme is primarily aimed at volunteer speleologists of caving clubs, fire-fighters, police officers, soldiers, health workers and other interested protection, rescue and relief forces whose members have passed the speleologist’s examination or have completed equivalent national programs for independent caving activity and have sufficient experience in the field with excellent knowledge of rope technique (SRT). The training was implemented as a combined structure of theoretical lectures and practical work given and supervised by the licensed teachers and instructors from the Training Centre for Civil Protection and Disaster Relief of the Republic of Slovenia (ACPDR). 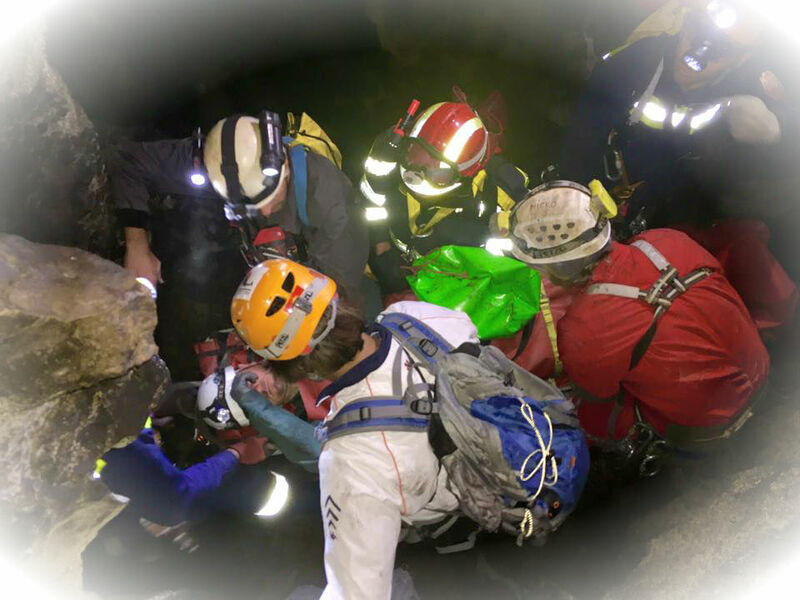 The training programme ‘’Cave Rescuer’’ is approved and signed by the Minister of Defence of the Republic of Slovenia. This year's training was the seventh organized within the DPPI SEE framework and as part of the DPPI SEE Disaster Management Training Programme. 30 participants from eight (8) countries participated at the event (Albania, Bulgaria, Bosnia and Herzegovina, Montenegro, Croatia, Macedonia, Slovenia and Serbia).